The track will appear on the band's reissue of Be Here Now, which is set for release as part of the Chasing The Sun series on 14 October. Oasis have unveiled an exclusive version of Don’t Go Away, which Radio X played this morning on The Chris Moyles Show. The never before heard version of the track with Noel Gallagher-sung vocals marks the first time band's legendary Mustique Demos have been made available to the public. The track is taken from the reissue of Be Here Now, which is being re-released as part of the Chasing The Sun series on 14 October. Don't Go Away (Mustique Demos) is also available to stream, download and comes as an instant grat. when the album is pre-ordered. Recorded on the Caribbean Island in early 1996 by Noel Gallagher and Owen Morris, the Mustique demos are the original demos for Be Here Now, which were just recently unearthed by the label's archive. All 14 demos will be available in special deluxe editions of Be Here Now. The band previously teased Radio X's first play of the track on Twitter, using a throwback picture of Noel Gallagher and Johnny Depp. 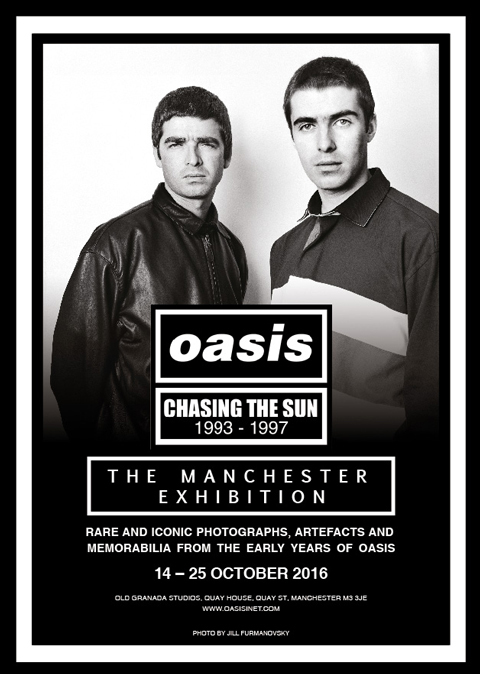 However, this is just a taste of what fans can experience as the Chasing The Sun: Oasis 1993-1997 exhibition is set to visit the Manchester band's hometown. The exhibition, which includes the Definitely Maybe room where fans can re-create the famous album cover, will take place from 14-25 October at Old Granada Studios. Noel Gallagher previously unveiled his "2016 rethink" of Be Here Now single D'You Know What I Mean? Talking about the track, Gallagher said: "As the years went by I'd started to accept that the songs on Be Here Now were in fact insanely long… too long! 1. D’You Know What I Mean?